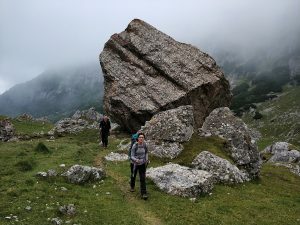 The best way to discover Romania’s mountains is on bike, pedaling up and down the trails, through lush forests and flowery pastures, deep in mountain gorges or up on ridges. 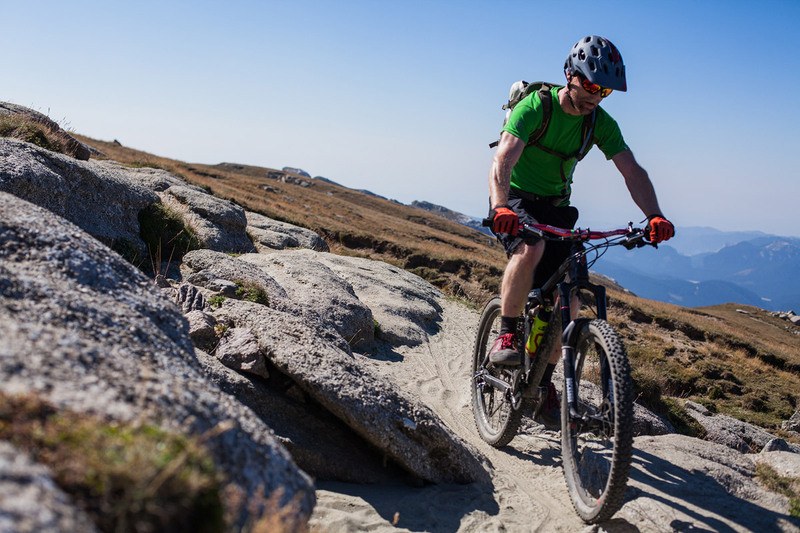 Our mtb tours are cross-country, all-mountain and enduro. We’re no different than most of the bikers in the world, preferring more and more riding on single trails. We are also“old-style”, enjoying the uphill as much as the downhill. Our tours are quite demanding physically and technically, but the feeling of true accomplishment at the end of each day is, quite honestly, something special. In Romania you can still find a way of life that was lost in the Western Europe, with people working the hay with a scythe and a fork and using horse drawn carts. Up the mountains the cheese is still done as hundres of years ago. The vast majority of mountains remain free of modernized roads and cable cars. Going out into the Romanian mountains means both traveling in time and escaping into the wild. We do mountain biking and guiding very responsibly and with passion, trying to share our love and knowledge about the Carpathians with fellow mountain bikers. Riding the trails together, enjoying the nature and rural life, savouring the local food was a sure way to make good friends from all over the world. You’re welcome to join this ever growing list of happy mountain bikers. Our mtb tours are organized by a local Romanian company specialized in adventure tourism since early 2000: www.mountainguide.ro. (Deutsch) Biken unter Androhung von Regen…. (Deutsch) Flotter Dreier – Eine Erinnerung. They came here for Trail Running in Romanian mountains. They say “home” is inside of each one of us and I agree, but somehow, sometimes, I have to say maybe I’m not ready to feel this way.